We’ve gotten a lot of phone calls about the provisional waiver program. We’ve put together some of the most frequently asked questions and our answers! Use this information to help educate yourself on the provisional waiver program. Keep in mind that none of this is legal advice – you’ll have to call us and talk to us to get legal advice. What is an immigration waiver for unlawful presence? An immigration waiver is authorization from the U.S. Citizenship and Immigration Services that a noncitizen who was unlawfully present in the United States may be readmitted in spite of his or her unlawful presence. The law, INA § 212(a)(9)(B), prohibits a noncitizen from being admitted to the United States if he or she was previously in the United States unlawfully for more than 6 months (a 3 year penalty) or more than 1 year (a 10 year penalty). The law, INA § 212(a)(9)(B)(v), authorizes a waiver (sometimes called a “pardon”) of the penalty. If the waiver is approved, then the penalty period is waived and the noncitizen may be admitted to the United States. Is there a difference in the legal standard between an unlawful presence waiver and an unlawful presence provisional waiver? No. The legal standard for approval is the same. A noncitizen must prove that a qualifying relative would suffer an extreme hardship if the full penalty period is applied. 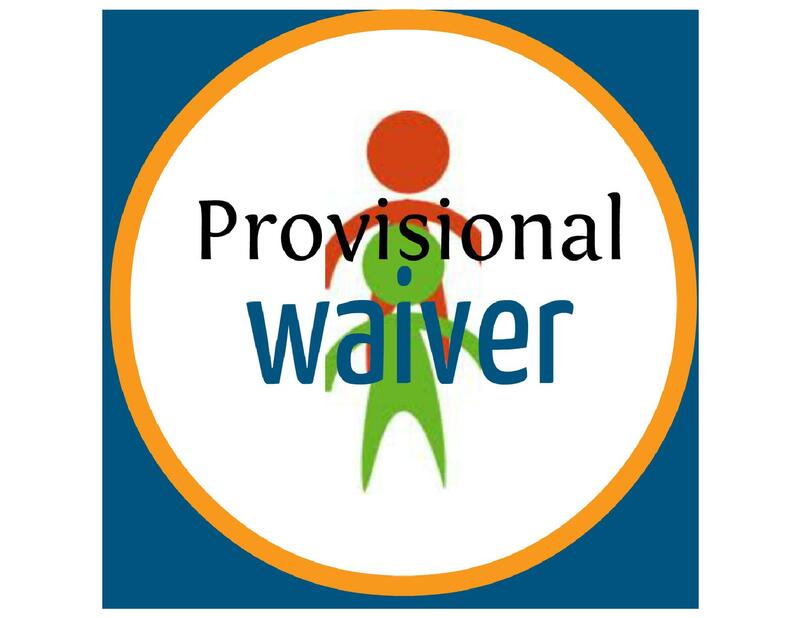 The provisional waiver program does not change the legal standard. Is there a difference in the procedure between an unlawful presence waiver and an unlawful presence provisional waiver? Yes. A qualified noncitizen can apply for a provisional wavier before leaving the United States for his or her immigrant visa interview at an American Consulate. Before January 4, 2013, most individuals applied for unlawful presence waivers at an American Consulate in their home country after having been denied admission. The processing of the unlawful presence waivers took a long time (in the case of Mexico, sometimes 2 or 3 years!). We call this regular waiver processing. Everyone can still apply for a waiver under the regular process. However, a qualified noncitizen can seek a provisional waiver before leaving the United States which should eliminate the lengthy family separation. Who is a Qualifying Relative? In order to be approved for an unlawful presence waiver, the noncitizen must prove that his or her spouse or parent would suffer an extreme hardship if the full penalty were applied. A qualifying relative is the spouse or parent of the intending immigrant. It is super important to realize that a child is not a qualifying relative. That means, a parent of United States citizen who wants to immigrate might not be eligible for an unlawful presence waiver because she might not have a qualifying relative. It’s tricky and easy to fall into this trap – it is a good idea to get some legal advice in these situations. Who is a qualified noncitizen? For the unlawful presence provisional waiver program, the USCIS will only accept applications from qualified noncitizens. A qualified noncitizen is an intending immigrant, has not been scheduled for an immigrant visa interview already, is only inadmissible for being unlawfully present, and is the spouse, child or parent of a United States citizen. Relatives of lawful permanent residents are not qualified for the provisional waiver program. Do I have to file my application on March 4, 2013? No. You can file your application anytime beginning March 4, 2013 and on. Our advice: take your time and get it right. There is no rush to file by March 4. A rushed, half-complete application will likely get denied. It is better to prepare thoughtfully and carefully. How long will it take to process a provisional waiver? Hmm. We won’t know for sure until the USCIS actually starts processing them. But we have been impressed lately with their speed and dedication in the DACA program, so we have faith. 6-12 months is our guess. But that is only a guess. Do I need a lawyer? Good question – but only you can answer it. A better question is: what can a lawyer do for me? There are three things that a good lawyer will do. First, a good lawyer will conduct a comprehensive screening of you and your case. During a comprehensive screening, a good lawyer will you a whole range of questions to determine the best immigration options and provide you with the information you need to make your own decision on how to move forward with your immigration case. A good lawyer will identify eligibilities and ineligibilities and provide an honest assessment of your case. Second, a good lawyer will guide your case through the complicated process. 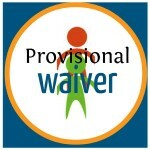 For provisional waiver processing there are a lot of hoops to jump and a lot of rules to follow. A good lawyer will be able to expertly guide the case through all the steps. Third, a good lawyer will assemble the best case possible to prove the “extreme hardship” requirement. This is often the most difficult part of the waiver application process. Can you help me? Yes. To schedule a comprehensive screening, call us. And if we can’t help, we can probably recommend someone who can.